A lot of people seemed fascinated with my story last week of reading the library board minutes as a way of learning about the history of the library system when I arrived in 1983. I will agree that it was not the most exciting reading — much of it was legal functions related to local government and requirements of the Ohio Revised Code, but mixed with those things were some wonderful stories of providing library service to the public. Everyone wanted the “stories” of library history, so here are some I found interesting. When Andrew Carnegie wrote his letter to Steubenville on June 30, 1899, saying that he would donate money for a new public library, he did not specifically say how much money he would provide. The committee assumed that he would provide funds similar to the Pittsburgh-area libraries that he had already funded, and the $50,000 check that arrived was “surprising” as most of those libraries received three times more than that. A polite letter from the library board yielded another check for $12,000 but that was all. Despite reductions in the building size and other expenses, the library was pinched for money, particularly for new books for the collection. The city library association operated from 1848-1855, and a reading room operated in conjunction with the schools from 1876-1880; yet both earlier libraries had closed and their books were boxed and in storage. Those collections were given to the new library when it opened in 1902, but the collection was indeed sparse and new books needed to be purchased. In those days, most publishers were located in New York City, and libraries received new books packed in wooden barrels and shipped by the railroad. So, how did the barrels get from the railroad depot to the library, some eight blocks apart? Horse and wagon was the answer but as the library was being completed in 1901, they found that there was no delivery entrance or loading dock — a problem that has plagued the library its whole lifespan. Poor Ellen Summers Wilson had to open the barrels and carry the books by the armload up the steps as she could find someone to transport them. Later board minutes discussed the fact that the $4,000 in operating expenses allocated in 1902, no longer covered expenses by 1924 and the library closed for the winter as coal could not be afforded. In 1957, a new gas-fired steam boiler was installed and the old boiler was literally cut off at the basement floor level and covered with concrete. In our current construction, we found the boiler still exists under the floor still filled with coal and it will be under the feet of staff in their new lunchroom. As the library system began providing countywide service in 1936, branches and station-stops were developed around the county, and one of the county librarians complained that her little space had a screen door that was worn out and needed to be replaced. The board debated the need for a new screen door and eventually hired a carpenter to construct a new screen door which delighted the librarian. The first day of use a child ran through the door tearing the screen from the new door and demolishing the frame. The librarian said to “forget it” she would just let the flies in the library. In the 1930s, “station stops” were established by the library in rural stores to begin providing books to the public. This meant a collection of 50-75 books that rotated from stop to stop. Her station was empty for a while, but finally word got around that the books needed to be returned — and all was well again after the philosophy of a public library was explained. A library patron in 1943 was pleased to return his books to the library, as well as the “brick” that fell off the building and landed on the steps at his feet. The problem was solved in 1956 with the removal of the top of the tower and the replacement of the roof by today’s slate roof. Get your wallet out because you’ll finally be able to buy Samsung’s new Gear 360 camera starting tomorrow, May 25. The smaller, more powerful second-generation 360-degree camera will cost $230, which makes it far more affordable than the original’s $350 launch price. You’ll be able to pick up the camera from Samsung, Best Buy, Amazon, AT&T, Sprint, T-Mobile, Verizon, and U.S. Cellular. Even better is the promotion Samsung’s running: buy a Galaxy S8/S8+ between May 25 and June 19 and you can nab the new camera for only $50. Livestreaming to various platforms (Facebook, YouTube, and Samsung VR), real 4K resolution recording, longer battery life, and the camera’s new handle/body all contribute to a better 360 shooting experience. 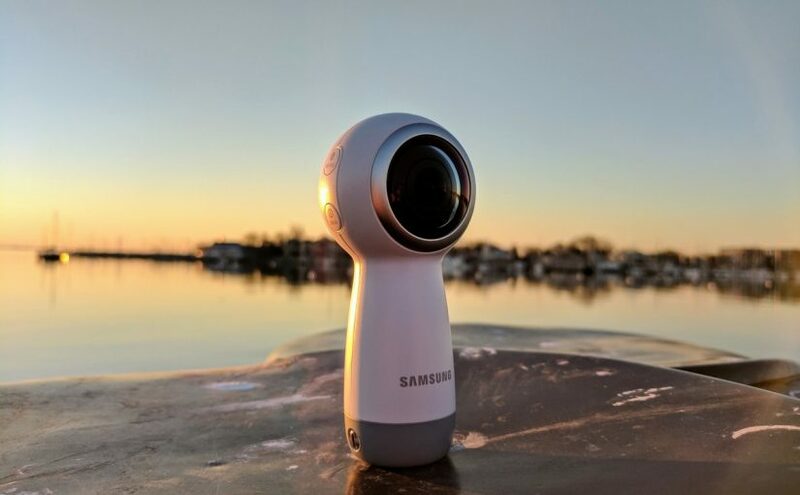 A year ago Samsung was one of the first with a consumer 360 camera and the only one to really nail down the basics, but there’s tons of competition now. Every company from Kodak to Garmin have one. And if they don’t yet (like GoPro), they will. LG, the Korean electronics giant known for its smartphones, appliances and tablets is bringing its first laptops to the U.S. market. The company announced the release of the Gram series of laptops in a press release recently. The machines, named Gram to highlight their light weight, are available in 13-inch and 14-inch models. The 13-inch model has 128GB of storage, 8GB memory and an Intel Core i5 processor. There are two different models of the LG Gram 14-inch laptop. The first boasts 128 GB of storage, 8GB memory and an Intel Core i5 processor. The second features a more powerful Intel Core i7 processor, 256 GB of storage and 8 GB memory. All three laptops weigh 2.16 pounds — making them lighter than MacBook Air. All Grams are crafted of strong and light carbon-lithium and carbon-magnesium materials. According to the company, these are the same materials used in racing cars and spacecrafts. The laptops are also about a half-inch in thickness. The machines include Bluetooth and WiFi connectivity, extra ports for USB 3.0, as well as micro-SD and micro-USB slots. The laptops also feature a built-in HDMI port and advanced sound quality courtesy of their built-in Digital-to-Analog converters that immensely reduce distortion and noise, allowing users to experience hi-fi quality sound. All three devices feature Full HD displays and boast 16:9 aspect ratio and 1920 x 1080 resolution. The company also says that all Gram laptops have a battery life of up to 7.5 hours, so you can use your laptop all day on a single charge. 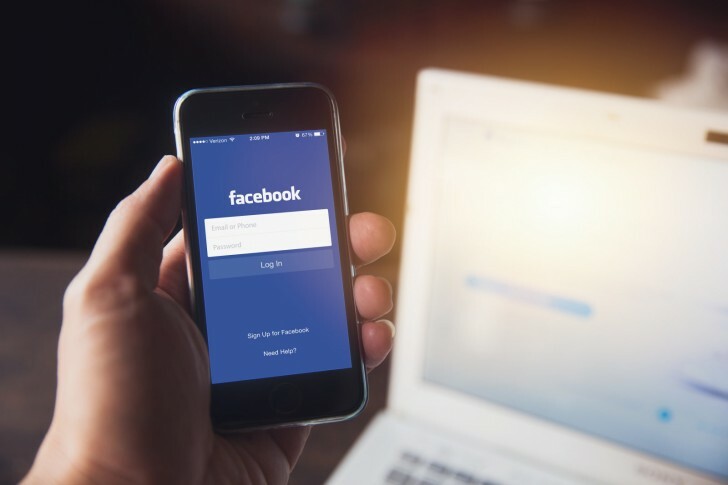 The Gram laptops include an instant boot feature that allows the Operating System to start up immediately while “Reader Mode” provides for optimal reading conditions by reducing the blue light and making it easier to read for long periods. 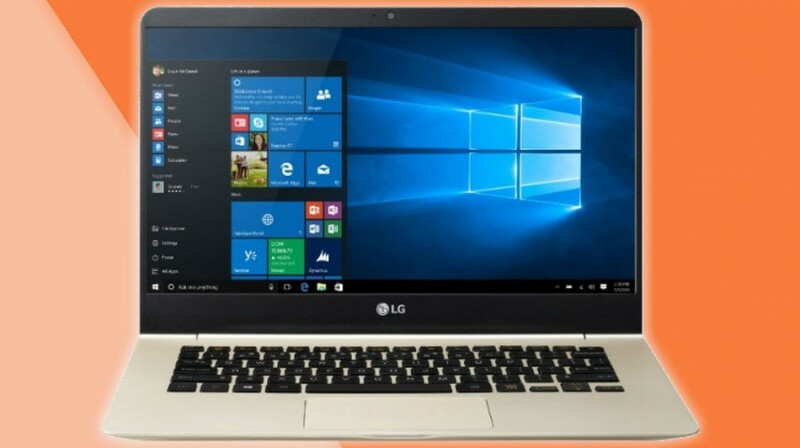 “LG has a long history of developing innovative consumer electronics products and has applied that expertise, along with its laptop success in other markets, to the LG Gram series in the U.S. The new devices all use Windows 10 and are now available .